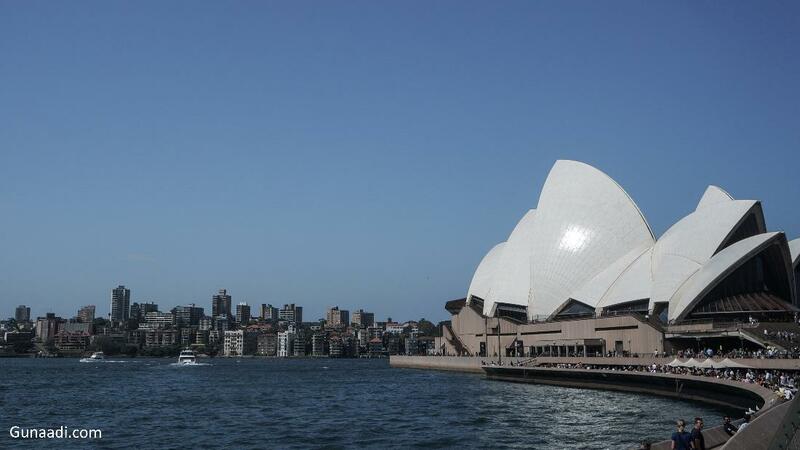 Sydney is the most famous, largest populated and metropolitan city in Australia where the famous Opera House in the world established. The opera house, a building by a danish, once to be a UNESCO world heritage site on June 2007. It is a must visit and icon in Australia. There is no reason why i put Sydney as the first city i visited in Australia then. Sydney was my first stop in this trip. I spent 2 days in the city. 2 days was quite short to explore the city so i just visit the major attraction in town. Luckily, i had friend, Afif, who study in Sydney so i relied on him for the itinerary. I stayed in my friend house located nearby Mcquirie University so i will not review any accommodation. I arrived in Sydney at 12:45 just perfect time to start exploring the city. First thing i did was taking the new shoes in the post office. i bought online a pair of hiking shoes and got worth discount, 60% (90 AUD for Salomon mid gtx leather shoes!). i just needed to show my passport to the receptionist then welcome my new companion. There is another cheap option to go to the city center. However, from no i would take this train first because the meeting point with my friend was inside the station. First time i was in Sydney, i felt like in Singapore. A lot of Asians walked around me. Since i had not prayed dzuhur so i asked my friend to bring me to the place that i could pray. He recommend me to go to the George street. He said that there was a mushola there. Mushola is Muslim prayer room. I never expected that there was a place like that in the CBD area so i guessed it shall be a good place. I just followed my friend to take me to the mushola. It was only 1 km from the Town Hall MRT station or Queen Victoria shopping centre. We stooped at front of convenient store. I was confused, "Why do you bring me to the convi mart?" We went inside the mart. The mart was owned by a pakistan. Behind the mart, there was a hall, it may be enough for 20-30 person. The hall was not that good and comfortable as praying room but at least it helped Muslim to pray when they are around the CBD. During Jumaah praying, they applied 3 shift since the hall was not enough to accomodate all Muslim here. After praying, be brought me back to George street. 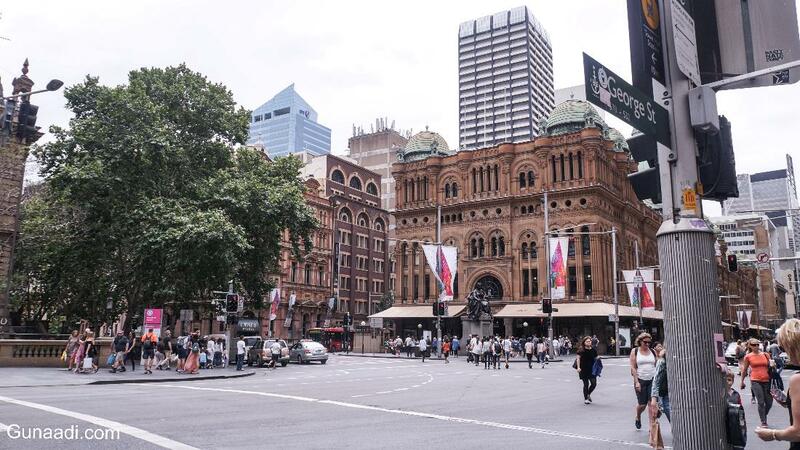 It was like a CBD or shopping center in Sydney with 3 km long and considered as the busiest street in the city center. There was a lot of high rise building, It may be many companies office here. Most of my time was spent in the town hall area. The town hall is noted as the location of three important historic building: St. Andrew's Cathedral, Sydney town hall and Queen Victoria Shopping Centre. We also visited the Indonesian food restaurant for looking halal food. I never expected to get Indonesian food so far away. 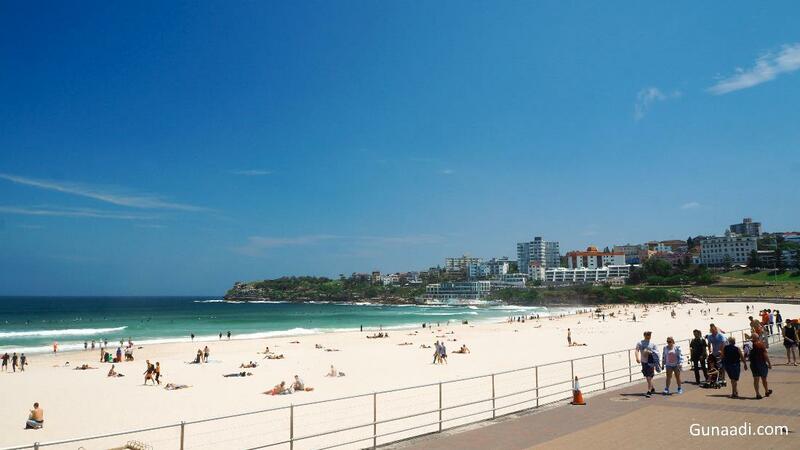 My friend suggested me to visit Manly. I even didn't have any idea what kind of place is that. We went to circular quay harbour. There is ferry service operated between circular quay and Manly every 30-60 minutes with 30 minutes journey . It was recommended to take the ferry because it would pass by the Opera House so i got another view of Opera house and Harbour bridge on the ferry. We Arrived in Manly. It was just like another 11 km small city from Sydney. The city is famous with its long beach with ocean view. I thought Manly was a weekend runaway and residential area. 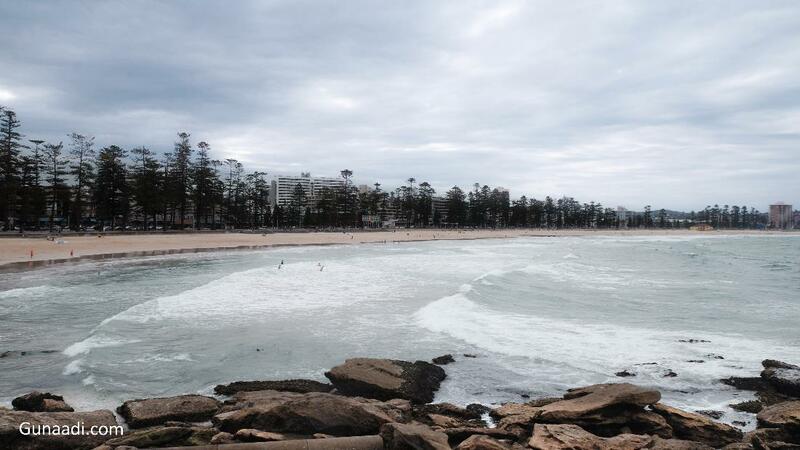 We only spent around 1 hour in Manly because the weather was not so good and cloudy. 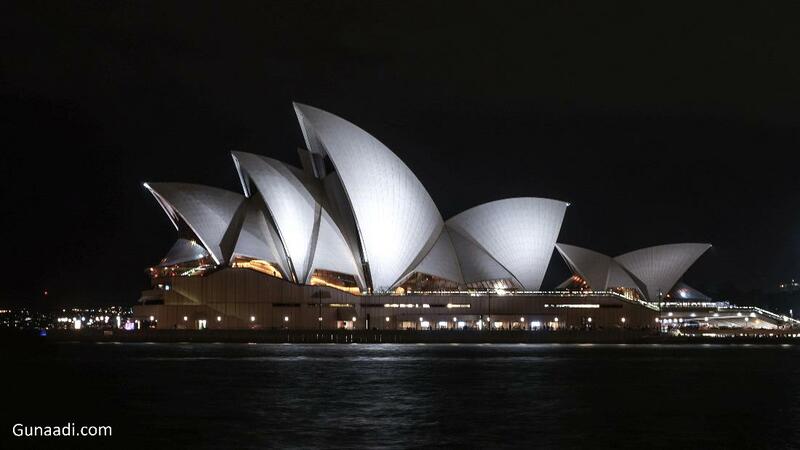 Sydney Opera House, the most famous and iconic building in Australia, would not be missed to visit while i was there. It might be my top visit in Australia. After coming back from Manly, i went to the Opera house. 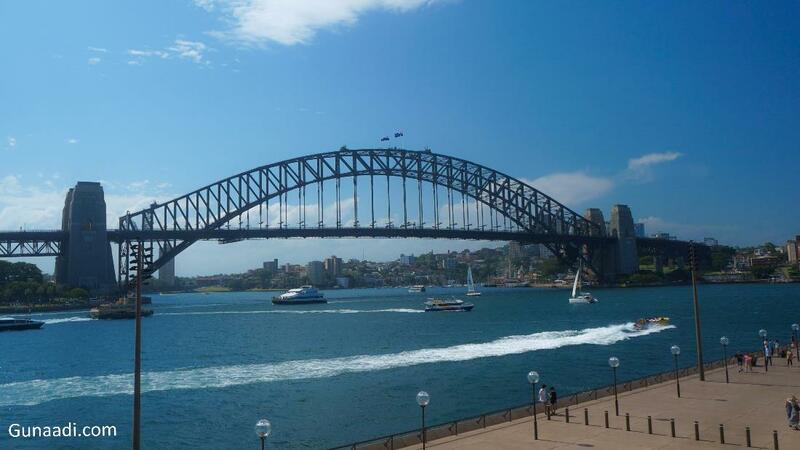 The location was just beside the Circular quay so it was walking distance. I visited it twice at afternoon and night. I should get both photograph. During my visit, there were a lot of people there. It might be because of weekend. I found some unique activities there. I saw many people with white dress code (Few of woman didn't wear any inner wear which is... you know what i mean ^_^... just uncommon culture for me.lol) and bringing some picnic stuff (i.e : table, chair and some food). They filled the opera house and other than them couldn't go nearby the opera house including me. I thought they already booked the whole place. Other unique activity was a strike. Yes..it was a real strike. They were a group of people bringing some board protested some environment issue. Some of them wore unique dress like a tree or nature. Not only them but also there were 2-3 police and some delegation from media. However, the strike was really peaceful! Everyone was laughing and even they did selfie together! By using Opal card on Sunday, i got fixed fare, 2.5 AUD, for my whole trip in Sydney. In fact, i only had 3 AUD deposit in my OPAL card so how lucky i am. 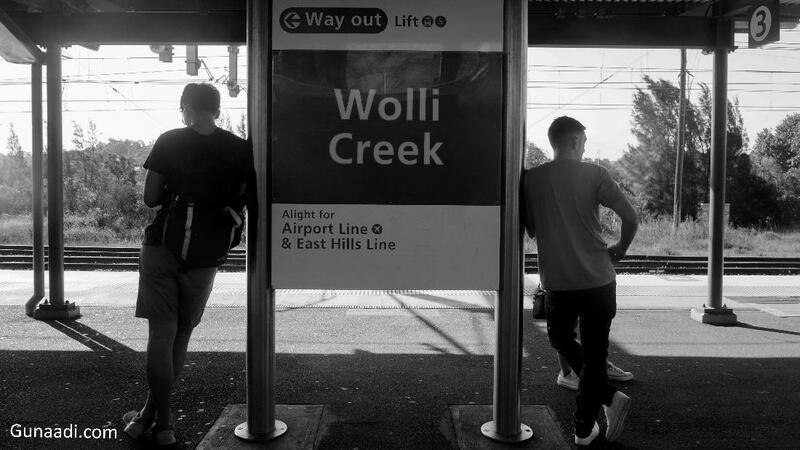 Walk from Wolli Creek to Airport around 1 km ( I heard there is a bus connected to airport but i don't know which bus). Make your map ready because the route is quite complicated. Finally, i only needed to pay 2.5 AUD! saved 15 AUD!